More and more Filipinos are becoming conscious of their health and are working harder to get fit. Healthy living is gaining importance today, and individuals are greatly motivated to achieve the health and fitness goals they set for themselves. The road to fitness may be tough and rough, but Coach Jim Saret, renowned founder and training director of MILO R2-APEX (Athletic Performance Enhancement Cross Training) Running School and his nutritionist wife Toni, share that one should not have to be alone in his journey. For Coaches Jim and Toni, not only do they get to spend quality time together, they also help each other get stronger, fitter and healthier during workout time. “As a couple, my wife and I spend our quality time working out together. Instead of the usual dinner date, our workout dates are more productive and beneficial for the both us,” says Coach Jim. “The bond fostered during physical workouts and dieting together is a lot stronger than just having the typical dinner and movie date,” shares Coach Toni. Both Coach Jim and Toni are passionate in sharing their knowledge and guidance through the MILO R2-APEX Running School (MARS) Camps. MARS is a program for adults composed of training workouts and sports science-based running principles designed to help them achieve their exercise and fitness goals in an environment where they are together with like-minded people, and supervised by the most qualified coaches in the country. “A lot of people look at exercise as something difficult to do. They know it's going to be very beneficial for them, but it is going to involve subjecting themselves to doing something hard. Nothing makes doing difficult things easier than doing them with others,” says Coach Jim. “MARS isn't just a program, it's a family of like-minded people who share and work on their goals together. Sacrificing other things to attend regularly, sweating, pushing, and motivating each other to complete each workout everyday definitely builds a strong relationship among the participants. For many years, MILO has been a life companion on everyday fitness and health. Adults look in to the sport of running as the fastest and most economical way to achieve physical well-being. The MILO R2 APEX (MARS) offers running programs for Filipino adults with world-class team of sports science trainers, running coaches, and physical therapists. With training programs offered twice a year in Bonifacio High Street, Quezon City Memorial Circle, and SM Mall of Asia, participants are able to engage themselves in conditioning workouts, running drills, and recovery and injury rehabilitation to fulfill an active and a well-rounded lifestyle. For more information, please log on to http://www.milo.com.ph, or visit the MILO® Philippines Facebook page (https://www.facebook.com/milo.ph), and follow MILO® on Twitter (@MiloPH) and Instagram (@MILOPhilippines). The MILO brand is the world’s leading chocolate malt beverage that can be prepared with hot or cold milk or water. Given its popularity it is a “must have” product for food service operators particularly in Asia, Africa and Oceania. MILO also promotes participation in sports through its Summer Sports Clinics, MILO-B.E.S.T. 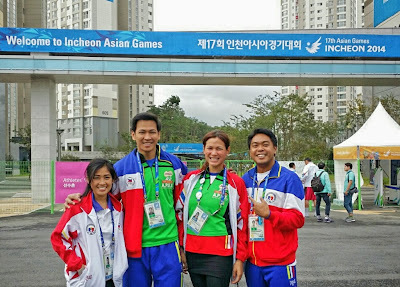 Center Training Program, MILO Marathon, and MILO Little Olympics. The leading beverage brand believes that these contribute to the holistic development of Filipino champions in sports and in life. 2014 marks MILO’s 50th year in the country. Note: This is a pre-written press release. No compensation of any kind was received in publishing this particular post.